Watermarking is a pro-only feature available only to our Business account holders. 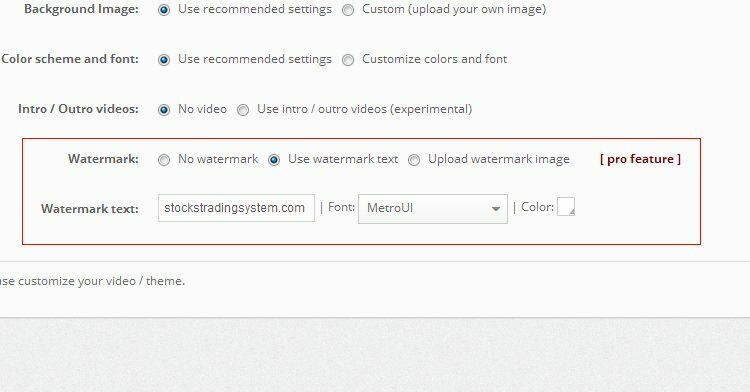 Users can choose to have a text or image watermark from the video customization screen. 1,029,327+ marketing videos created by 114,691 article marketers From top Internet Marketers to small business owners, everyone uses and recommends Article Video Robot!